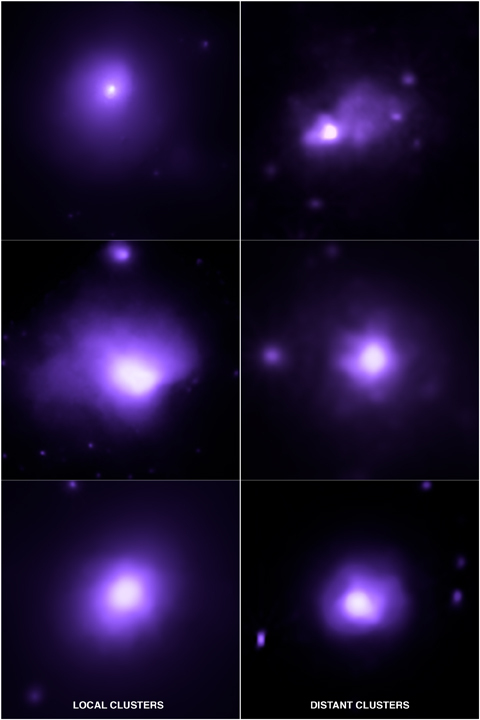 These six galaxy clusters from the Chandra X-ray Observatory are representative of over 80 clusters that were used to track the effects of dark energy on these massive objects over time. 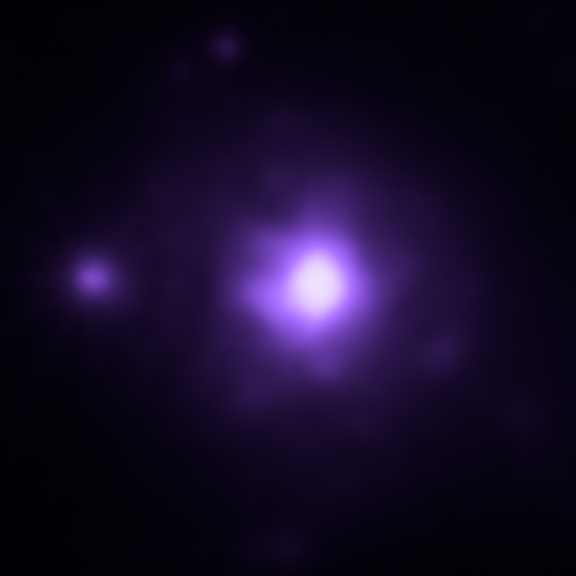 Most of the matter in galaxy clusters is in the form of very hot gas, which emits copious amounts of X-rays. By studying clusters across large distances, astronomers have determined that dark energy has stifled their growth. 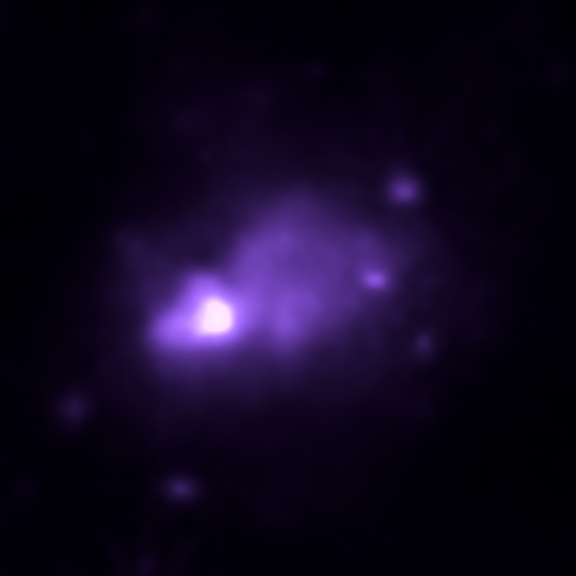 These are three snapshots taken from a simulation by J.Diemand, J.Stadel and B.Moore showing the formation of cosmic structure in the presence of dark matter and dark energy. 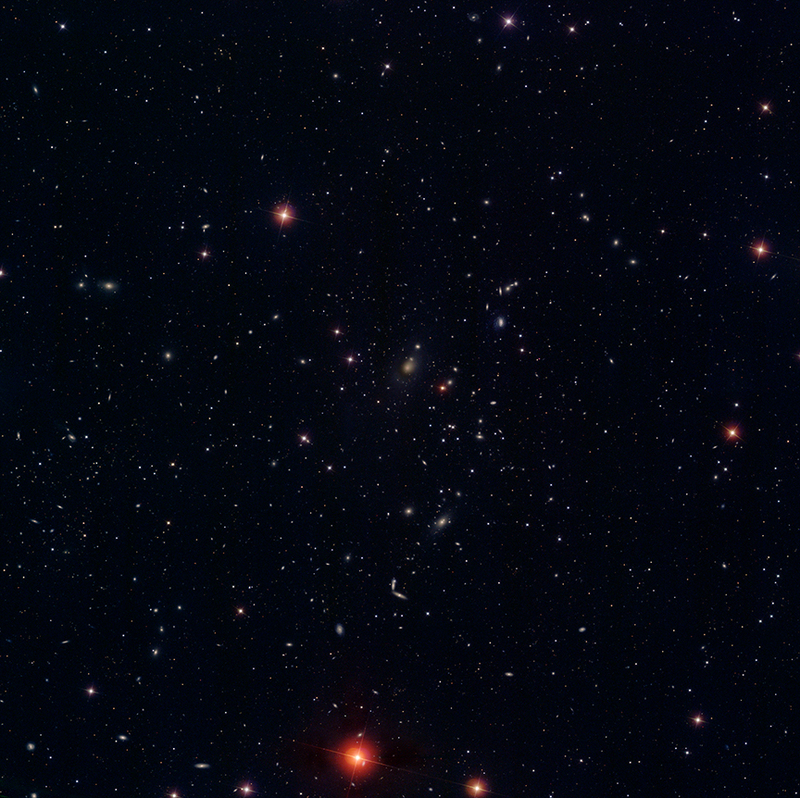 The snapshots are taken at times when the Universe was 20%, 60% and 100% of its full size (for ease of comparison, the images have been scaled to be the same size). Note how structures increase in size under the attractive force of gravity, leading to the formation of the largest collapsed structures, galaxy clusters. The growth of galaxy clusters is stifled at later times by dark energy, which is driving accelerated expansion. 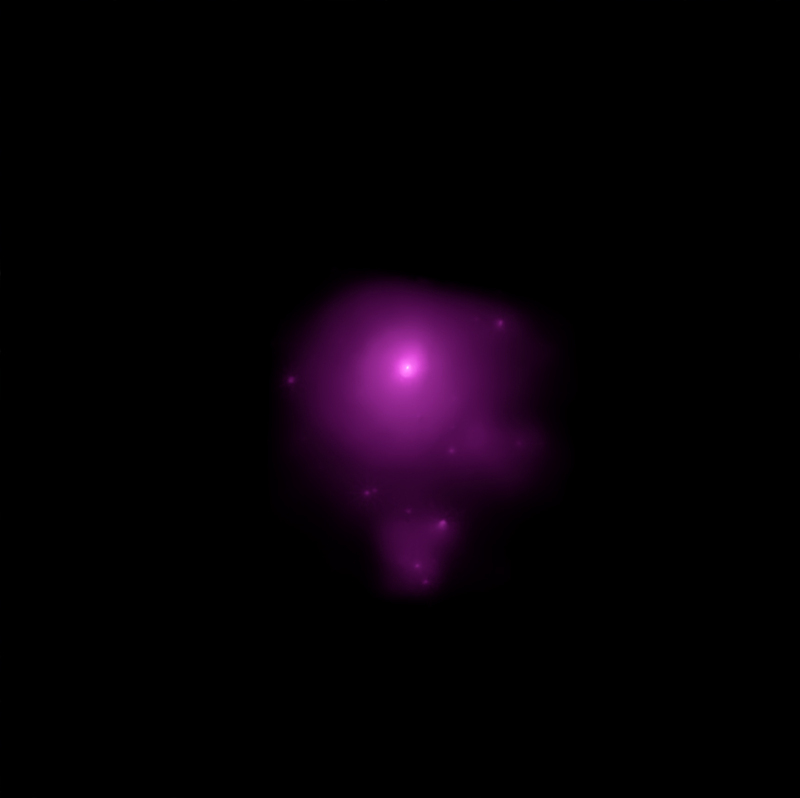 This one galaxy cluster is representative of over 80 clusters that were used to track the effects of dark energy on these massive objects over time. 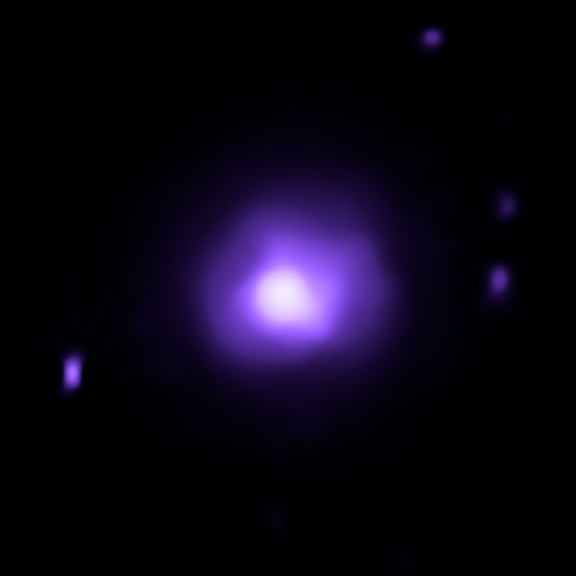 This galaxy cluster, Abell 85, is shown in X-ray light from NASA's Chandra X-ray Observatory and optical light from SDSS. 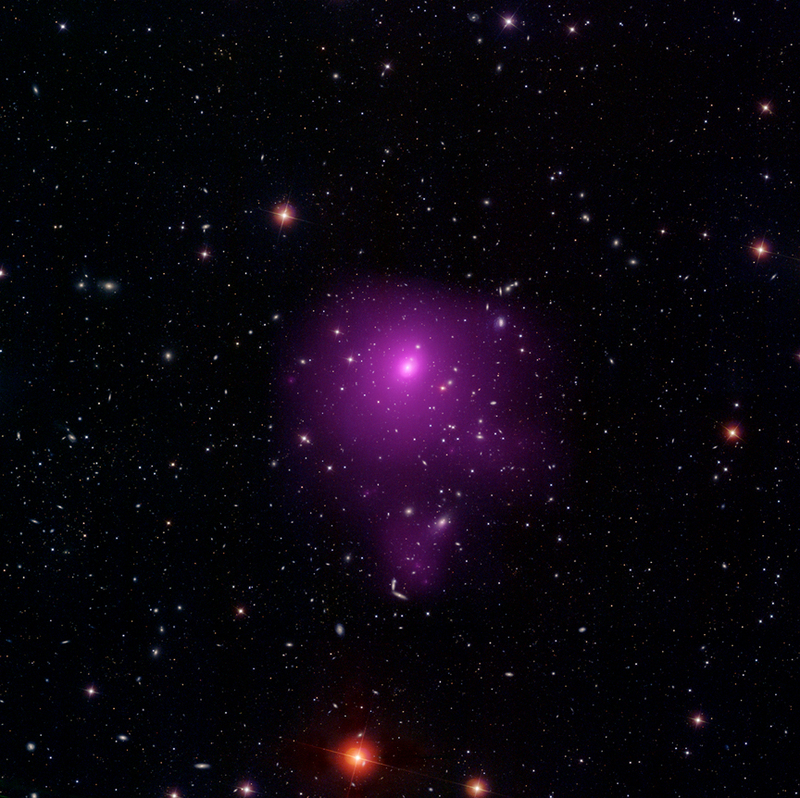 Most of the matter in galaxy clusters is in the form of very hot gas, which emits copious amounts of X-rays. By studying clusters across large distances, astronomers have determined that dark energy has stifled their growth. 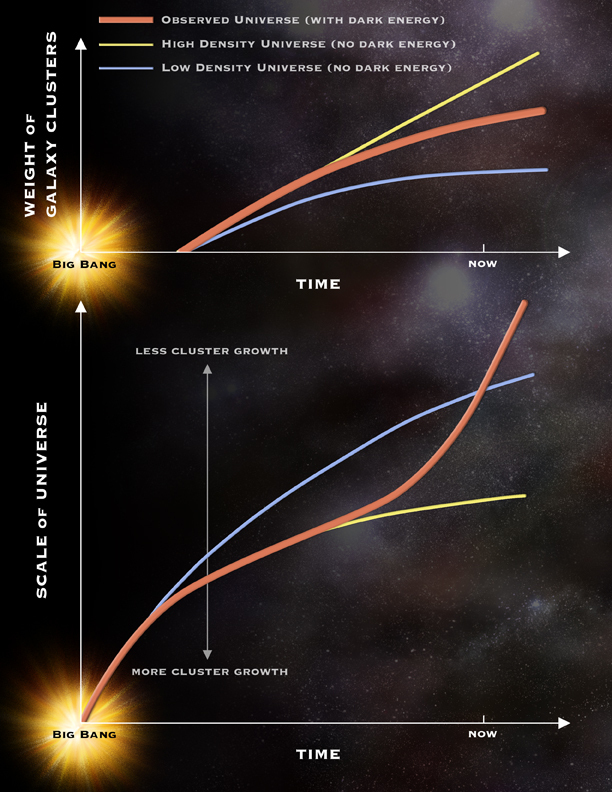 This pair of illustrations shows the change in scale of the Universe over cosmic time, followed by the change in the weight of a typical galaxy cluster over the same time frame. The orange line shows the evolution of the observed Universe, with dark energy and cosmic acceleration, and the yellow and blue lines show high and low density models that do not contain dark energy. The observed change in weight of galaxy clusters over the last 7 billion years agrees very well with predictions for a Universe dominated by dark energy. 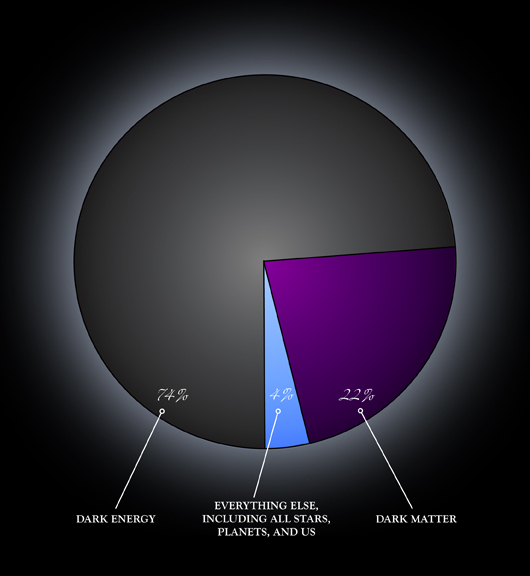 As shown in this illustration, dark energy is estimated to contribute about 74% of the energy in the Universe, dark matter about 22% and normal matter about 4%. 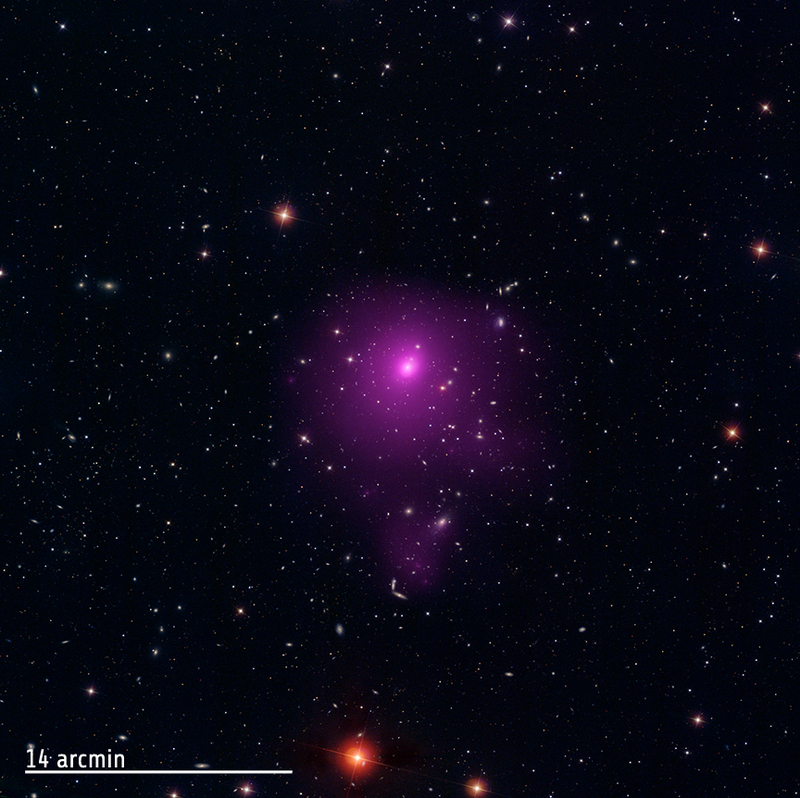 Only the normal matter can be directly detected with telescopes, which includes the hot gas emitted by galaxy clusters. Scientists have used this information from normal matter to get a better handle on the properties of dark energy. 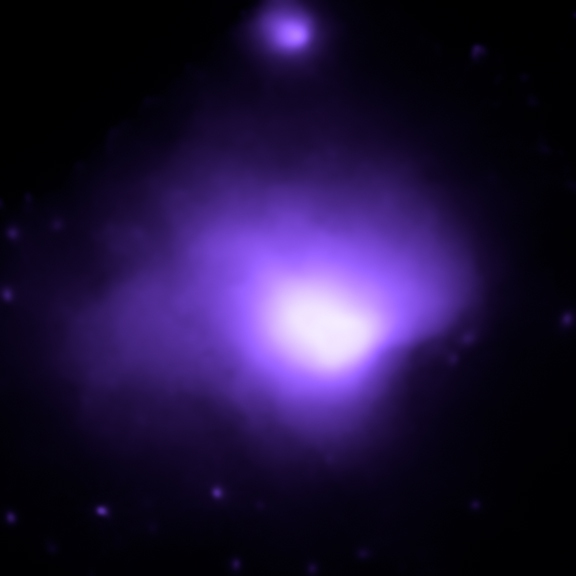 This set of three illustrations gives a basic explanation of how galaxy cluster observations using Chandra can be used to study dark energy. The analogy used here is that of measuring scales. The measured weight of clusters is shown on the left side of the scales, while different parts of the theory, including the amount of matter, the amount of dark energy and properties of dark energy, are put on the other side of the scales until there is a balance. Other important factors are the current expansion rate of the Universe (Hubble constant) and the clumpiness of matter in the early Universe (amplitude). This is how it is possible to "weigh" the universe using galaxy clusters.